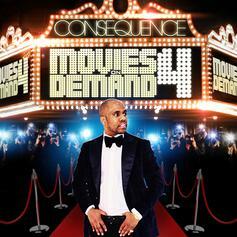 Consequence delivers the newest mixtape in his "Movies On Demand" series. Featuring guest appearances by Estelle, John Legend, Raheem DeVaughn and more. 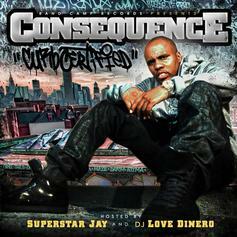 Cop Curb Certified (Hosted by Superstar Jay & DJ Love Dinero), the latest mixtape from Consequence, which dropped on Wednesday, December 14th, 2011. Consequence's odds keep getting better with each new leak, and Curb Certified (Hosted by Superstar Jay & DJ Love Dinero) will undoubtedly improve his chances of winning. It's a worthy addition to a respectable catalogue that has seen a lot of growth since Consequence debuted in this game. We're looking forward to the follow-up. 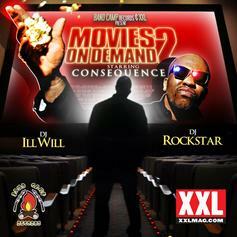 Check out Movies On Demand 2 (Hosted by DJ ill Will & DJ Roc, a new mixtape from Consequence that saw the light of day on Tuesday, February 8th, 2011. Consequence's movement grows stronger with each new release, and Movies On Demand 2 (Hosted by DJ ill Will & DJ Roc has further strengthened that fact. It's a solid addition to the commendable body of work Consequence has been creating since stepping foot in the rap game, and we're definitely looking forward to what Consequence has on deck.